Less than a decade ago, most B2B sales teams were a two-act show. Headhunters were tasked with generating leads. Closers then attempted to turn those leads into customers. Like many other areas of business, B2B sales has advanced by leaps and bounds in the past ten years. Sales leaders no longer manage a squad of headhunters and closers. High-performance sales leaders must build a multi-functional team that is constantly identifying new prospects, developing and qualifying leads, analyzing data, solving customer problems, testing new markets, closing strategic accounts, and coordinating with marketing. Along with building out new processes, sales leaders are adopting new tools to supercharge their multi-functional teams. Here are three types of solutions that are changing the way B2B sales teams target and connect with their ideal customers. The way B2B sales teams source leads has been completely revolutionized by technology. It’s no longer enough to buy a list of contacts and load them into a CRM or marketing automation database. If businesses don’t have a process or tool in place to refresh their customer information, all those hard earned leads easily fall victim to lead data decay. Traditional lead providers such as Data.com and Hoovers grew out of the yellow pages and still offer an endless stream of leads for cold calling and email blasting. However, pure list-based solutions are no longer enough to support an active lead generation engine. Sophisticated sales teams demand fresh data and customized insights on top of their leads. For example, if a business replaces a key staff member and updates the information on LinkedIn, your sales team wants to have that information updated in their system immediately. Every time a sales team member makes a phone call or sends an email, the contact name, company details and contact information need to be accurate. In addition to supplying tools to individual sales reps, many top B2B sales leaders are empowering their whole team at once by using a solution to quality assure data already in their database. Using advanced data analytics, lead generation tools are evolving to where they can not only identify new contacts, but also predict how likely a contact is to buy, how much revenue opportunities hold, as well as the size and scope of marketing and sales resources needed to tap into them. 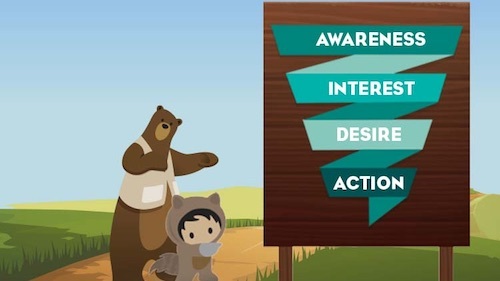 To start capturing leads and connecting with customers, sales teams often start with a marketing campaign. Whether they launch it through an email newsletter or social media, automation can save time and get better results. There are multiple ways to use marketing automation to boost sales processes, including requesting feedback from customers, collecting email addresses for an email list, and learning more about customers. For best results, businesses should connect analytics to all of their efforts. Each website visitor should be tracked, with their interactions noted in the reports a business pulls on a regular basis. This can help a business learn more about its customers, including what information they’re interested in and what areas of the website might be scaring them off. The same approach can be applied to email campaigns, giving you information on the number of opens and the time of day communications appear to be most effective. Almost everyone has been in the middle of sending an email to an important contact, only to be forced to stop and Google information on that person. Whether that means checking the person’s social media profiles or reading the person’s biography, leaving the email platform to research can be distracting and cumbersome. Through the use of email extensions, professionals have the information they need on a particular contact at their disposal while creating a message. This includes LinkedIn information, which lets a professional know a contact’s current position and any contacts that the recipient and sender might have in common. Email extensions can also help sales professionals who move from email conversations to phone calls or in-person meetings. Since the extension shows the contact’s latest social media posts, location, and LinkedIn profile, a salesperson will start the meeting armed with information about the lead. Something as simple as knowing which sports teams a lead likes can lead to a conversational jumping-off point that will create a personal connection. 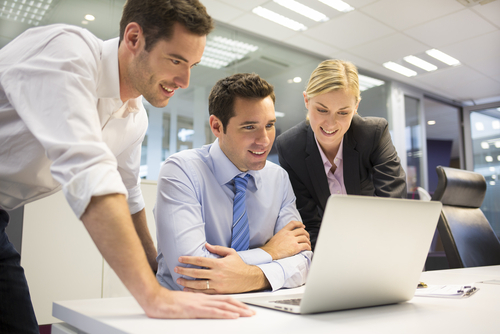 When managing multi-functional teams, sales managers must find ways to support their workers. With the right technology in place, businesses can get the most out of their teams with minimal expense. Best of all, they’ll remain competitive and win new clients while always monitoring and tweaking their marketing efforts. A journalist and digital consultant, John Boitnott has worked at TV, newspapers, radio and internet companies for 20 years. He's an advisor at StartupGrind.com and has written for Fast Company, NBC, Inc Magazine, Entrepreneur, USAToday and Venturebeat among others. Learn about how SalesforceIQ can help your multi-functional sales team close more deals. Download the free Salesforce e-book to learn more.